On Monday morning I cross at Futian Port from Hong Kong into China (Google Map location here). It’s the end of the MTR line then a 500 metre walk across a pedestrian bridge to China Immigration & Customs. Usually before 7:00 am there isn’t a long line. It’s when you leave the building on the China side that you see the crowds. 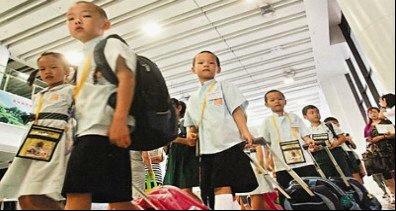 Hundreds and hundreds of schoolchildren are getting ready to leave China for another school day in Hong Kong. 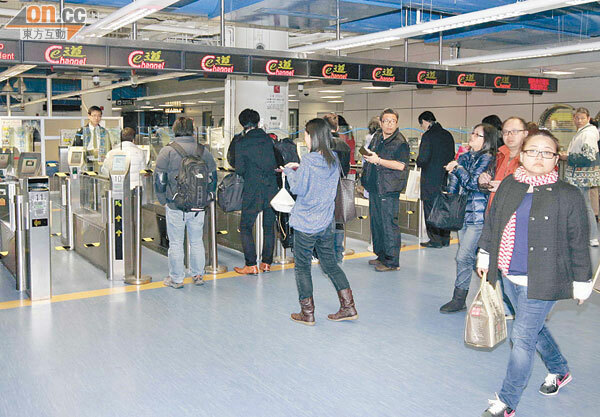 These young commuters throng across the border to take advantage of the quality schooling on the Hong Kong side of the border. Local schools in China are very good. The ones in Hong Kong are just a little bit better. Any Chinese child born in Hong Kong has all the rights of a local, according to a court ruling in 2001. Since many pregnant women from Mainland have moved to Hong Kong to deliver. It’s placed a strain on the local maternity hospitals. Immigration officials are taught how to look for women in advanced stages of pregnancy in an attempt to deny them access to the country. In 2013 the BBC reported that 6,800 children made the journey every day. That’s a border crossing and commute to school in the morning, and a border crossing and commute home in the afternoon. It’s a joyous experience to be in the Immigration halls with hundreds of school-age children in their uniforms, with their backpacks, with their clatter and chatter! Yet not everyone is as thrilled. In communities adjacent to the border some Hong Kong parents are denied spaces for their children. That means a local child travels across Hong Kong to another district for schooling. There aren’t enough places for locals and the children from China. This is another flash-point in the complicated love-hate relationship between Hong Kong and Mainland China. The two stand side-by-side on many issues, yet are strongly divided on others. Cross-border children commuting for school every day is one where the differences are stark. 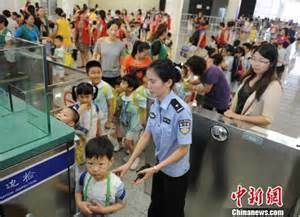 Maybe more people need to spend time in a children-filled Immigration hall!